As we draw towards the end of another amazing year, it is time for me to get my 2016 poster calendars ready for you! They make great holiday gifts — just roll up, tie with ribbon, and pass along with your love and best wishes for the coming year. For the price of a couple fancy coffees (10 bucks), you have art you can enjoy every day of the year! My calendars are big and bold (12 x 18 inches, with larger font this year, a win for those that have eyes getting older like mine) and printed locally on 100% recycled paper (good for you AND the earth). Get them in my etsy shop or in a couple fun Gabriola holiday shows coming up….at Black Bird Studios on Dec 13th and at the Pier Gallery Holiday Sale here on Gabriola on the two weekends before Christmas (Dec 12/13 and 19/20). Of course you can contact me directly to place an order. Just 10 dollars each (I offer bulk discounts so let me know if you want a bunch). 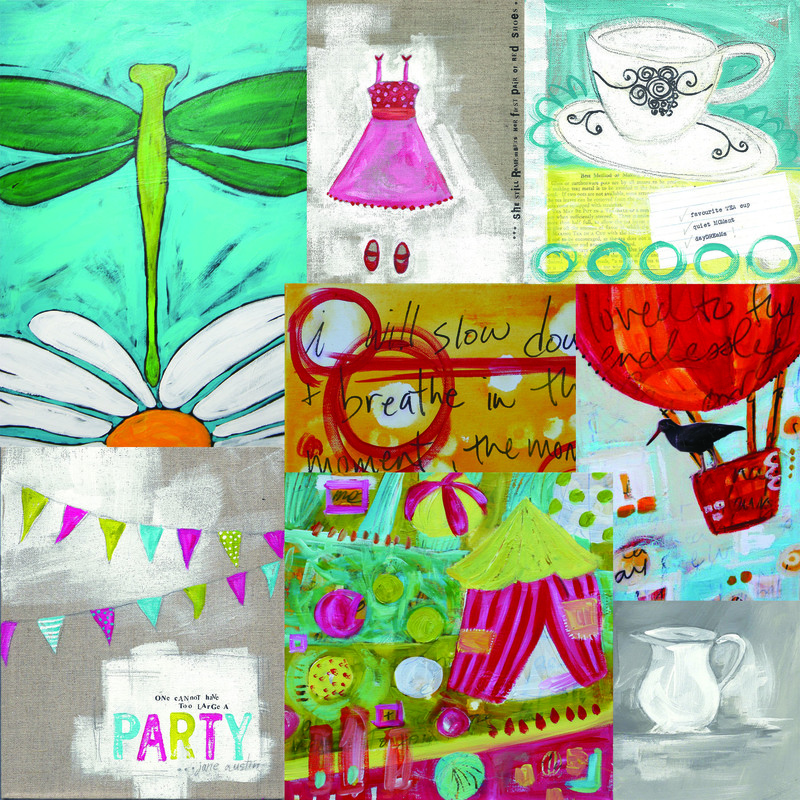 I am so excited about this year’s designs and hope you are too. In particular the DIVE DEEP whale tail makes my heart SMILE as I remember a magic day this September when I was surrounded by so many humpbacks! Here is a photo I took of a whale called Yahtzee (can you see the spots on the underside of the tail?) getting ready to dive down for another mouthful of herring! (Please note the photo was taken from a distance and cropped and zoomed for this view). A shout out to my friend The Marine Detective for sharing the magic on that special day and for continuing to do so much to protect our local marine species! A great gift idea would be to pair my whale calendar with a humpback whale sponsorship — give a gift that supports the important research that the Marine Education and Research Society is doing! Here’s hoping 2016 is full of happy days for the ocean and for you and yours! P.S. Which is your favourite 2016 design? Leave your top choice in the comments and I will enter your name into a giveaway. The winner gets the calendar they love best! I will close this giveaway at the end of the month. Update – congrats to Natalie who was the lucky winner and will be getting a calendar from me! As I prepare for the upcoming LOVE SQUARED show it seems I am inspired to include hearts in every painting project I have on the go. Here is the latest, in my favourite mermaid coulours. This mini painting is on a 3 x 4 inch cradled wood panel, free standing so you can pop it on a night table or a bookshelf (just like this other one I have in my Etsy shop). If you have a Valentine who might like this little piece of heART, let me know. On sale direct from me for $25. Let your love message last longer than the chocolate this year (but make sure you also include the chocolate)! This morning I finished up some sweet little commissions full of BIG love! 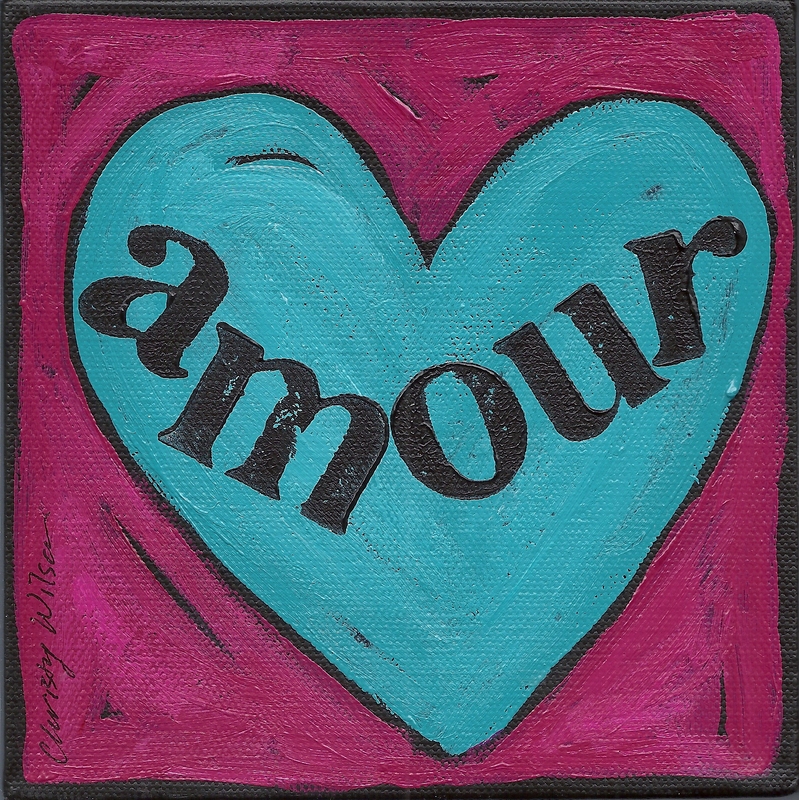 The woman who ordered the two “amour” hearts had ordered from me before, having found me through a friend who had my art on her walls. I had only conversed with this repeat customer (can I say “fan”?) over the email in the past. This week I spoke with her on the phone for the first time and her love for my art came shining through the conversation! When I asked if the paintings were special gifts, she replied that they were and added that she wished she could keep one. In that moment, I knew I had to paint an extra one for her! I sneakily asked “Do you love these colours too?” and she replied that she did, she really loved turquoise! Et voila, the love she ordered up multiplied — I will be including a little extra love just for her with her special order today. Because hey, anyone that loves aqua as much as me deserves a turquoise heart!!! Wouldn’t you agree? How are you spreading your love this week? I am Christy Wilson, an artist, a mom, a marine biologist, a chocolate lover, a tea drinker, a procrastinator, a dreamer, and more than I yet know. This is my blog. I love sharing photos, thoughts, art, and things that inspire me. Welcome.